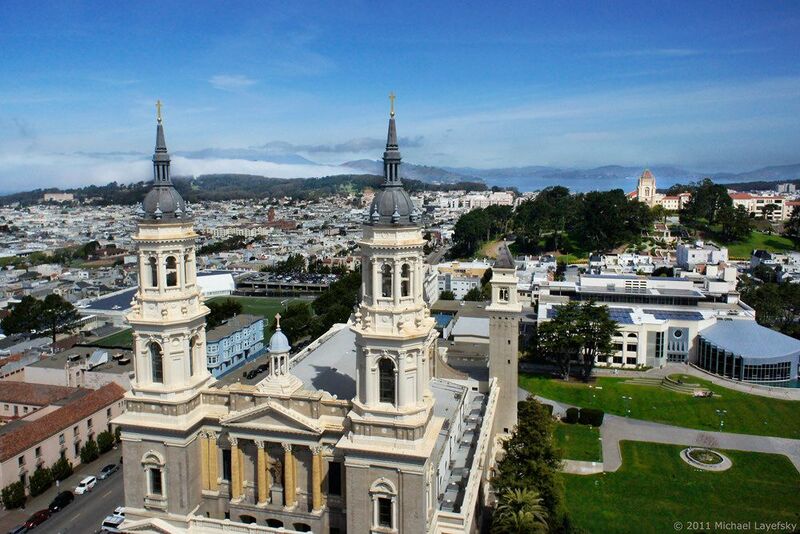 University of San Francisco (USF) was established in 1855. 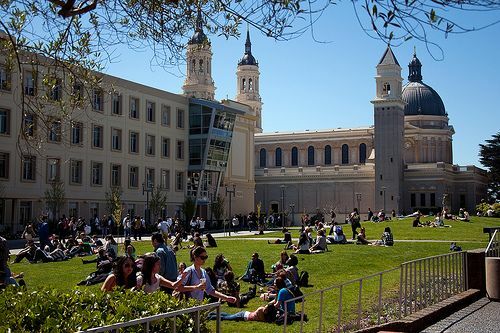 It is a private university located in San Francisco, California. The main campus is called as “The Hilltop”. Different classes are offered in multiple locations. The university campus has everything that a metropolitan city has to offer. The University comprises of 5 schools and colleges such as College of Arts & Sciences, School of education, School of law, School of Management, School of nursing & health professions. 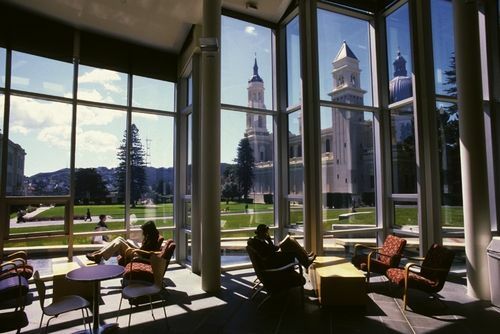 USF offers more than 100 programs. Some of the most popular programs include Nursing/Registered Nurse, finance and psychology, Business Administration and Management, General and Marketing/Marketing Management. The university follows a 4-1-4 based academic calendar. The overall student population of the university is over 10,700 of which more than 6,700 students are enrolled at the undergraduate level. The student to faculty ratio at the university is 14:1and the acceptance rate is 71%. The university students are also provided with internships and externships around the bay area from the companies throughout San Francisco. USF is categorized as a more selective university, according to U.S. News & World Report. It has more than 40 institutional partnerships with other universities throughout the world. We prepare our students to become advertising professionals through courses in Advertising, Communication Studies and Computer Science and/or Design. The major combines courses in advertising, communication studies, design, computer science, and business; students tailor their courses to reflect their particular career interests. Advertising majors get extensive practical experience creating advertising campaigns through class projects, internships, and competitions. A career in advertising requires creativity, critical analysis skills, business acumen, and expertise in strategic communications. Our interdisciplinary major empowers students to become well-rounded professionals who are prepared to meet the wide-ranging demands of the global marketplace. Advertising, Advertising Sales Representative, Film and Video Editor, Graphic Designer, Market Research Analyst, Meeting, Convention and Event Planners, Photographer, Writer. The BA/BS-Master s in Asia Pacific Studies (MAPS) is a 4+1 program that allows current USF undergraduates to study in an undergraduate major, complete graduate-level courses and requirements, and earn both a bachelor's and master's degree in five years. The ideal candidate is an undergraduate student with a 3.5 or above GPA who has a strong interest in Asia, especially one who has already begun the study of an Asian language. Undergraduates in this program usually earn 8-12 graduate credits, while still pursuing their undergraduate degree. These credits are then applied to the program's 28 credit total for the MA in Asia Pacific Studies. Our programs advance understanding of the increasingly powerful countries of Asia by focusing not only on the structures of society its histories, laws, economies, and governments but also on the religious, philosophical, artistic, and intellectual foundations for these structures. The Dual Degree in Teacher Preparation (DDTP) program provides an accelerated, rigorous education leading to a bachelor's and master s degree as well as a preliminary California teaching credential. As part of this unique 4+1 model, students complete graduate-level courses as undergraduates and work in the field alongside mentor teachers throughout the program. 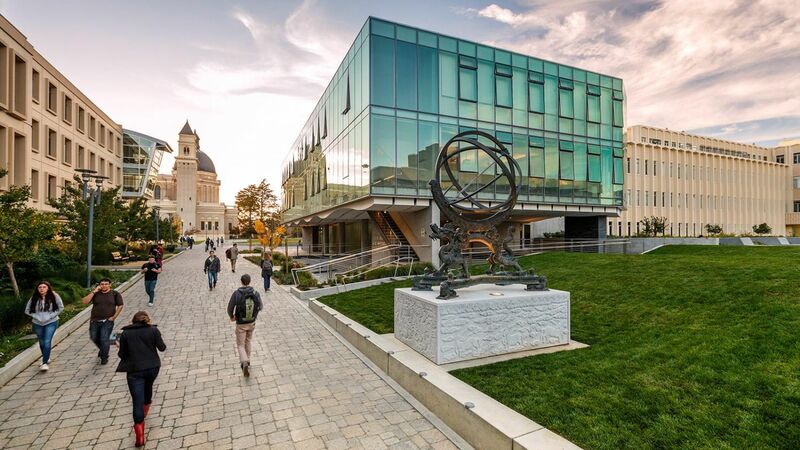 During the first four years, students will complete the requirements for their major and participate in undergraduate field experiences, while also taking graduate-level courses offered through the School of Education, resulting in the completion of a bachelor s degree and the first half of a master s degree. Students will formally apply for admission to the School of Education during their senior year. At the end of the fifth year, after successful completion of all requirements, students will receive their master's degree and preliminary teaching credential. The program offers students the ability to obtain both a bachelor's degree in Economics and a master's degree within five years in either MA in Economics, or an MS in International & Development Economics. Students in the five-year program begin to take graduate-level courses when they achieve senior-level standing at the University. Students graduate with the BA and officially matriculate into the MA program upon completion of College graduation requirements, including 128 units within which graduate courses will substitute for undergraduate courses in satisfying the BA requirement. The total units required for the Joint BA/MA Program in Economics is 152 units. Requirements vary for each program. Please visit program page for specific requirements. Fees vary for each program. Please visit the program page for specific fees. The annual cost of living at the University of San Francisco is $14,000 approx. Deadlines vary for each program. Please visit program page for specific deadlines.